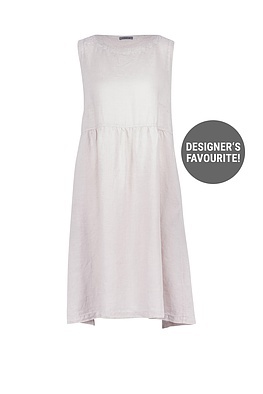 This OSKA dress is full of surprises. It is girlishly charming at the front with a high waist and small folds; the back is beautifully casual looking due to loosely tied ribbons. 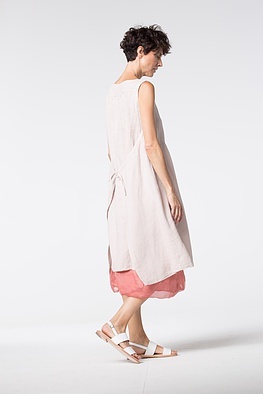 Two buttons at the side fasten this dress; its pockets are on the side seams.